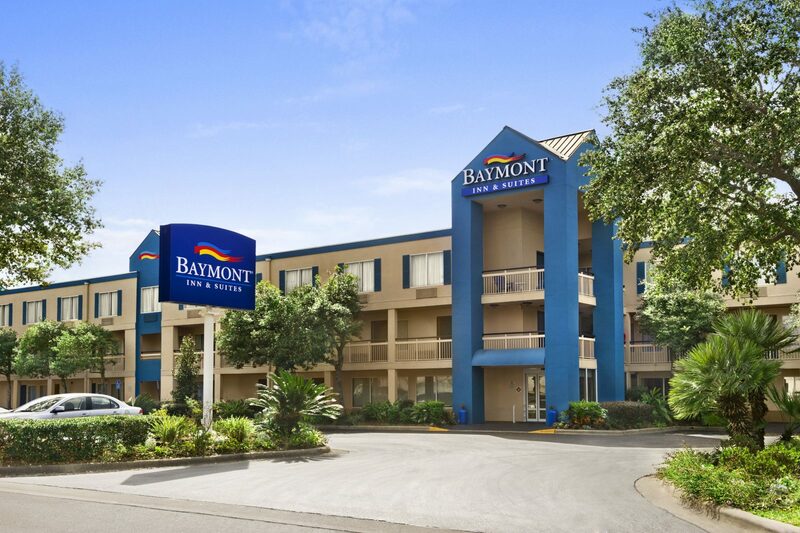 Friendly Hospitality for Travelers of Every Kind, with Free Breakfast and Wi-Fi Hometown hospitality awaits you at our Baymont Inn and Suites Gainesville hotel in beautiful northern Florida! We're pleased to offer you an updated, fully smoke-free hotel with outdoor pool, fitness room and business center. Guests of our Gainesville hotel enjoy free Wi-Fi in their comfortable rooms and in all public areas. We also have a laundry facility and available meeting space at our pet-friendly hotel in Gainesville, FL. Relax near Gainesville Raceway and the University of Florida in a well-appointed guest room with 32-inch flat screen TV, coffee maker, hair dryer, refrigerator, microwave and voicemail. Start your day off right with a home-style free breakfast at the Baymont Breakfast Corner. You're always welcome here!